FLV Mate is high quality video to flash converter and player for the web. 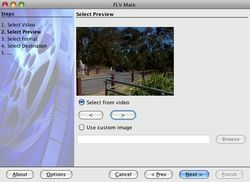 FLV Mate 1.3 was available as a giveaway on July 22, 2010! FLV Mate is high quality video encoder and player for the web. Convert almost any video to Flash and create a web video player for your web site, blog or forum. It is an easy to use, wizard-like application that allows you to publish any video online in few easy steps. Publish marketing promotions, video advertisements, software demonstrations, tutorial videos, screencasts, video blog posts and more. FLV Mate includes high quality royalty-free web video player compatible with Flash 8.0 (or later version) and supports Amazon S3 for video hosting and steaming. How would you improve FLV Mate 1.3? Add ability to trim the video and convert only part of the video. "FAILED TO CONVERT FILE: Program 1"
is what I get no matter WHAT I try to convert. AMD 64 proc. Nothing out of the ordinary. Didn't have a chance to run this yesterday, so gave it the first try today. This has some issues and it's a shame because I really like the player and that's pretty much what I was interested in. It doesn't handle raw avi files well at all. Raw uncompressed .avi's I fed it are not in color but black and white and totally messed up with funky diagonal lines. Secondly...there is NO WAY I should have to change Flash Player permissions in order to play something locally on my hard drive! I've never ever seen an .flv converter do this, and it's totally ridiculous! Not only should I NOT have to do this, but each time I do a conversion and save in a different location I'd need to give Flash Player permission to play it locally all over again from a new location? This is hogwash! And totally not worth the aggravation! It should just play on my own PC. Period. It's too bad...the player is quite nice and the ability to add a preview image of your choice and a logo would be wonderful! Unfortunately the bad things here outweigh the good, so I'm giving it a thumbs down. If the vendor fixes the issues, they could have an excellent program here. Didn't have a chance to run this yesterday, so gave it the first try today. This has some issues and it's a shame because I really like the player and that's pretty much what I was interested in. It doesn't handle raw avi files well at all. Raw uncompressed .avi's I fed it are not in color but black and white and totally messed up with funky diagonal lines. Secondly...there is NO WAY I should have to change Flash Player permissions in order to play something locally on my hard drive! I've never ever seen an .flv converter do this, and it's totally ridiculous! Not only should I NOT have to do this, but each time I do a conversion and save in a different location I'd need to give Flash Player permission to play it locally all over again from a new location? This is hogwash! And totally not worth the aggravation! It should just play on my own PC. Period. It's too bad...the player is quite nice and the ability to add a preview image of your choice and a logo would be wonderful! Unfortunately the bad things here outweigh the good, so I'm giving it a thumbs down. If the vendor fixes the issues, they could have an excellent program here. Thanks.I always enjoy reading your reviews. @aRenegade. What Ashraf writes is often misunderstood, because he gives here only a short summary. Therefore he writes this text at the end of his very appreciated commentaries: For final verdict, recommendations, and full review please click here. And if you click on his homepage link you will find an universe of very valuable advices of a very experienced user. By the way - that software is really missing even basics, how nice the idea of the program may be. @aRenegade. What Ashraf writes is often misunderstood, because he gives here only a short summary. Therefore he writes this text at the end of his very appreciated commentaries: For final verdict, recommendations, and full review please click here. And if you click on his homepage link you will find an universe of very valuable advices of a very experienced user. By the way - that software is really missing even basics, how nice the idea of the program may be. The first commenter writes it’s “straightforward and easy to use”, But later writes ”lacks proper documentation”,huh? Well if it’s “Straightforward and easy to use” how much explicit documentation is required? Next, “The program allows any user to “publish directly” then later, “lacks the ability to publish directly”. And rambles on and on only to lure someone into leaving GOTD because the GOTD Forum isn't good enough to post a full review and recommendation (unlike Whiterabbit who selflessly does)! You clicked on an advertisement. The true link is the blue link that says "Download FLV Mate 1.3 now"
@ #10 Wendy Peterson, You clicked on an advertisement. The true link is the blue link that says "Download FLV Mate 1.3 now"
Installede fine on win 7 64. I have pahaps found an error in this program. If you load a file wich you want to convert, and discover that it's the wrong file, then when chosing another file, it's still the first file showen in the preview miror. after trying ths program, i must say that, if i had payed money for this software, i would have been disapointed. It need some posibilities, like a feature to remove the originaly sound and/or add music to the outcome movieclip. It's a nice player thats installed..
All togther it get 3 out of five stars. Installede fine on win 7 64. I have pahaps found an error in this program. If you load a file wich you want to convert, and discover that it's the wrong file, then when chosing another file, it's still the first file showen in the preview miror. after trying ths program, i must say that, if i had payed money for this software, i would have been disapointed. It need some posibilities, like a feature to remove the originaly sound and/or add music to the outcome movieclip. It's a nice player thats installed.. All togther it get 3 out of five stars. It is amateurish program, sloppy and it seems unfinished project. It is amateurish program, sloppy and it seems unfinished project. I just uninstalled it. As stated above, there's no support for x64. FLV Mate is an extremely easy way to convert your existing video to the Flash flv format. It uses a wizard format & when you're done you'll get your flv video in a folder with a generic player [.swf], a thumbnail image for that player, & an html page tying it all together. Alternatively you can upload all 4 files to Amazon's S3 service -- you have your choice between that & creating a folder on your hdd. FLV Mate uses Java -- setup comes with a copy of the Java runtime in a jre folder that takes up ~88MB in 637 files, 37 folders... the 21 files making up the app itself additionally take up just short of 20MB. Conversion itself is handled by the free [very commonly used] ffmpeg -- Fubar mentioned the legality, which brings up what I think is an odd point: inside the jre folder there are all sorts of license mentions for Apache etc, but I didn't see a thing for ffmpeg... AFAIK most open source code carries a request/requires at least some sort of mention [I know ffmpeg does]. Impact on Windows is light -- it looks like FLV Mate could be made portable using the portableapps.com format, including the sole required registry key. According to the developer's site, FLV Mate is 32 bit only -- a few things there struck me as odd... most 32 bit apps run fine in 64 bit windows, most video-related software is 32 bit & works fine, & despite the majority of win7 licenses being for the 64 bit version, the developer writes he'll consider it if he gets enough requests (?). [I'd think if you're selling a product you'd want the broadest market possible?] Finally, unlike every other video converter I've seen, if acceptable input formats are listed anywhere, it's not very prominent [I certainly didn't see it] -- the site focuses mostly IMHO on using Amazon's S3 [http://en.wikipedia.org/wiki/Amazon_S3]. Putting video on-line is an extremely crowded field -- so much so it's very hard to even begin listing alternatives. Microsoft is including it in their Live apps, where the betas are designed around posting anything from video to photos to blogs to Office docs etc... Google is expanding their offerings, & prompted by their owning YouTube, is even awarding grants for HD content. DivX has been trying to make their mark on-line for years. Then there's debate about Flash itself... Apple famously prefers html5 -- so does Google & many of the major content owners working with them, but they'll be working out the kinks for some time [and in the mean time sticking with Flash]. And there are several companies who want you to use their resources to store & stream your video -- many hope that like YouTube, if they get enough traffic &/or participation they'll be able to sell more stuff &/or move to a subscription service like Hulu. Against that backdrop, using Amazon S3 to me just doesn't make much sense unless you're hosting [semi] private video... most people & companies want their video to be seen, & few things do that as well as YouTube once word gets out that it's had some fantastic number of views. Plus like so many sites you can embed your YouTube video on your site's pages, letting them bear the brunt of hosting/bandwidth charges. That said, if hosting video on Amazon's S3 looks like a decent choice for your needs, the FLV Mate site has more info [check out the manual, blogs etc], & this may be the easiest [or among the easiest] way[s] to make it happen. FLV Mate is an extremely easy way to convert your existing video to the Flash flv format. It uses a wizard format &amp; when you're done you'll get your flv video in a folder with a generic player [.swf], a thumbnail image for that player, &amp; an html page tying it all together. Alternatively you can upload all 4 files to Amazon's S3 service -- you have your choice between that &amp; creating a folder on your hdd. FLV Mate uses Java -- setup comes with a copy of the Java runtime in a jre folder that takes up ~88MB in 637 files, 37 folders... the 21 files making up the app itself additionally take up just short of 20MB. Conversion itself is handled by the free [very commonly used] ffmpeg -- Fubar mentioned the legality, which brings up what I think is an odd point: inside the jre folder there are all sorts of license mentions for Apache etc, but I didn't see a thing for ffmpeg... AFAIK most open source code carries a request/requires at least some sort of mention [I know ffmpeg does]. Impact on Windows is light -- it looks like FLV Mate could be made portable using the portableapps.com format, including the sole required registry key. According to the developer's site, FLV Mate is 32 bit only -- a few things there struck me as odd... most 32 bit apps run fine in 64 bit windows, most video-related software is 32 bit &amp; works fine, &amp; despite the majority of win7 licenses being for the 64 bit version, the developer writes he'll consider it if he gets enough requests (?). <em>[I'd think if you're selling a product you'd want the broadest market possible? ]</em> Finally, unlike every other video converter I've seen, if acceptable input formats are listed anywhere, it's not very prominent <em>[I certainly didn't see it]</em> -- the site focuses mostly IMHO on using Amazon's S3 [http://en.wikipedia.org/wiki/Amazon_S3]. Putting video on-line is an extremely crowded field -- so much so it's very hard to even begin listing alternatives. Microsoft is including it in their Live apps, where the betas are designed around posting anything from video to photos to blogs to Office docs etc... Google is expanding their offerings, &amp; prompted by their owning YouTube, is even awarding grants for HD content. DivX has been trying to make their mark on-line for years. Then there's debate about Flash itself... Apple famously prefers html5 -- so does Google &amp; many of the major content owners working with them, but they'll be working out the kinks for some time [and in the mean time sticking with Flash]. And there are several companies who want you to use their resources to store &amp; stream your video -- many hope that like YouTube, if they get enough traffic &amp;/or participation they'll be able to sell more stuff &amp;/or move to a subscription service like Hulu. Against that backdrop, using Amazon S3 to me just doesn't make much sense unless you're hosting [semi] private video... most people &amp; companies want their video to be seen, &amp; few things do that as well as YouTube once word gets out that it's had some fantastic number of views. Plus like so many sites you can embed your YouTube video on your site's pages, letting them bear the brunt of hosting/bandwidth charges. That said, if hosting video on Amazon's S3 looks like a decent choice for your needs, the FLV Mate site has more info [check out the manual, blogs etc], &amp; this may be the easiest [or among the easiest] way[s] to make it happen. Okay, this is weird. On this page there was a huge green button with Download FLV Player Here up the top towards the middle of page. I obediently hit the button and was waiting for the site or whatever to load, when up came a Microsoft popup message saying that the site has been reported as unsafe, and it has blocked the site from opening. When I made it back to this page again, the large green button was not to be seen. What on earth happened? I Have noticed lately there have been a Couple of applications that have used Open Source Code given away by GOTD. As for FLV Mate 1.3; Too Heavy-Weight: Code very weak, not utilising the potential of Java. That Said, I'm an old sod, and still stick to VB6 & C++. I Have noticed lately there have been a Couple of applications that have used Open Source Code given away by GOTD. As Fubar #8 mentions, The legality is somewhat dubious, As for FLV Mate 1.3; Too Heavy-Weight: Code very weak, not utilising the potential of Java. That Said, I'm an old sod, and still stick to VB6 &amp; C++. This uses a bunch of open-source code (I didn't check the legality). It's huge because it uses its own Java Runtime Environment (and people complain about .NET). It's very sloppy for a version 1.3--spelling errors, problems with default folders, shows the output folder as a link but it isn't, dumps preview JPEGs into the source folder, etc. The biggest issue for me is that it only supports the largely obsolete FLV format--no H.264, WebM, etc. This is a Java application, it will install all needed Java Runtime files in the program installation folder. (Installer: 69.1 MB, After install: 153 MB) The FLV Mate it self only cost about 20 MB of disk space, the rest 100 over MB is used by Java Runtime files. The question is... does it really necessary to use Java Runtime for this kinda application? Maybe the author should consider to use other programming language. You can't really trim down the needed Java Runtime files for the application to run. The price of this software it's not worth for $39.95 at all, coz it's seriously lack of features. The author should consider lower down the price. This is a Java application, it will install all needed Java Runtime files in the program installation folder. (Installer: 69.1 MB, After install: 153 MB) The FLV Mate it self only cost about 20 MB of disk space, the rest 100 over MB is used by Java Runtime files. The question is... does it really necessary to use Java Runtime for this kinda application? Maybe the author should consider to use other programming language. You can't really trim down the needed Java Runtime files for the application to run. The price of this software it's not worth for $39.95 at all, coz it's seriously lack of features. The author should consider lower down the price. ". . . and supports Amazon S3 for video hosting and steaming." So wonderful. Who among us has not at some time wished to steam his videos?
. ". . . and supports Amazon S3 for video hosting and steaming." So wonderful. Who among us has not at some time wished to steam his videos? BTW, Ashraf, your link isn't working, at least not for me. All I get is a 404 Error message. Good review, tho. . Installed and registered perfectly on Windows 7 Home Premium 32bit. Overall it seems like a very nice program. Easy to use and attractive, albeit pretty simple, interface. It would be nice if there were more player skins, but the one that comes packaged with it is very nice. This program is perfect for someone who wants a super simple way of putting a video on the Internet. Not a half bad program & the price seems withing the range of acceptable. Thumbs up from me. * Allows users to convert multiple different types of videos to FLV format. 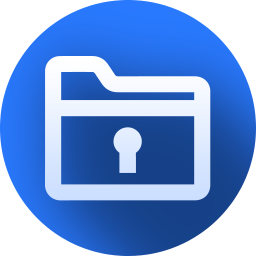 * Gives users the option to publish directly to an Amazon S3 account, or publish locally. * Allows users to customize the "preview" image. * Allows users to watermark videos. * Cannot merge multiple videos together. * Lacks the ability to publish directly to a website, such as via FTP. * Needs better organization in output folder when publishing locally. * Needs an option to either automatically take users to output folder or to allow users to open output folder easily via a button when publishing locally. * Lacks proper documentation/Help section.